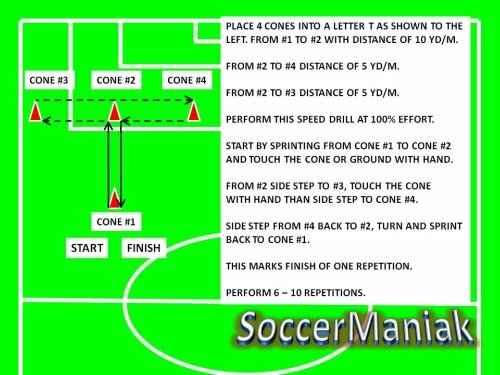 Set up 4 cones into a letter T with 10 m/yd of distance between the cones. You can make the distance longer or shorter depending on age and players skill level. 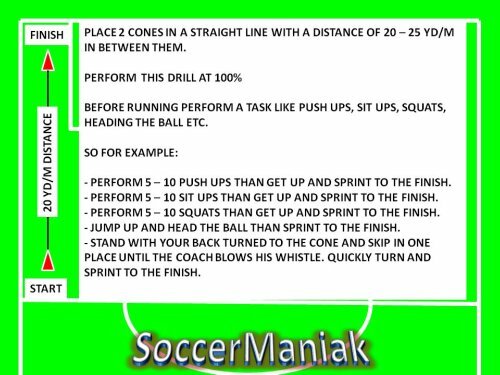 There are many ways to do this soccer speed exercise. 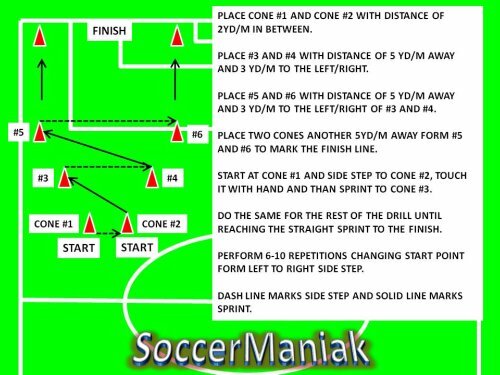 Most simple way is with normal running around the cones. 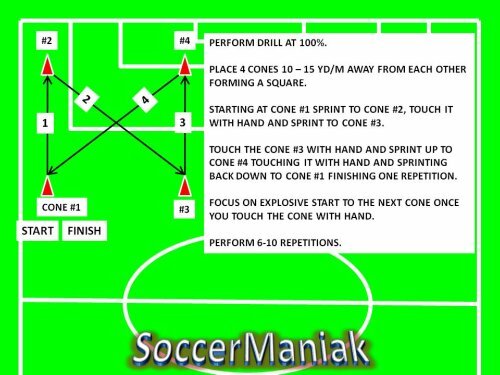 Sprint forward to the center cone, cut around the center cone using quick and short steps towards the cone on the right. 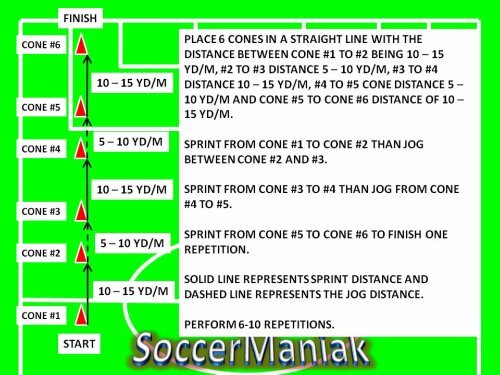 Sprint to the opposite side cone and around it. 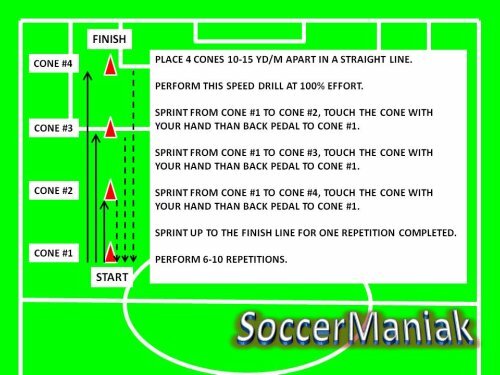 Sprint back to the center cone, around it and finish repetition at the starting point. 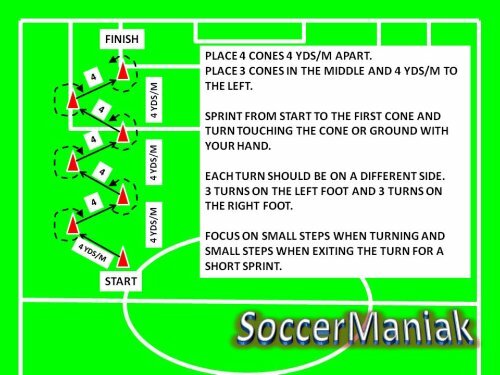 Another creative way is to sprint forward to the center cone. Side step to the side cone and around it. Side step all the way to the opposite side, around the cone and to the center cone. Finish with back pedaling to the starting cone. 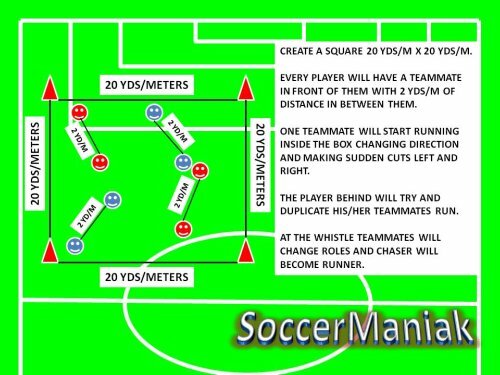 Get creative and include the soccer ball in this exercise as well. 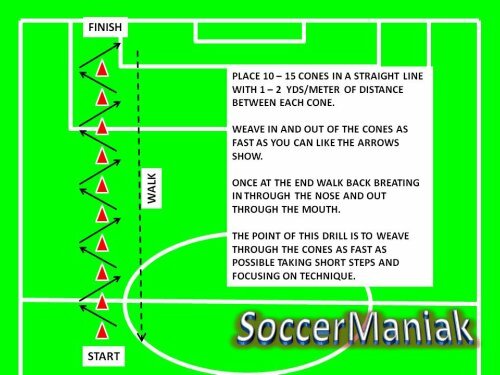 Setting up cones like this can be used for endless creative ways to train soccer speed, ball control, conditioning and all other skills. As long as the players are engaged in training and not standing around for too long, its a success.